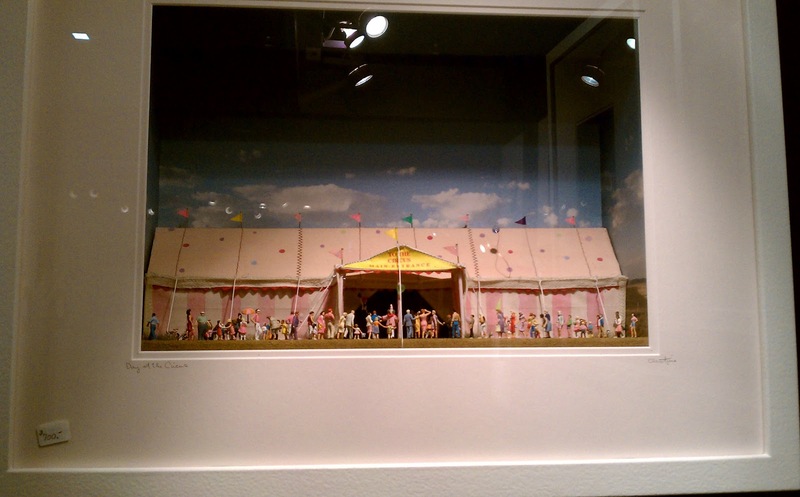 Here's another cool circus diorama. 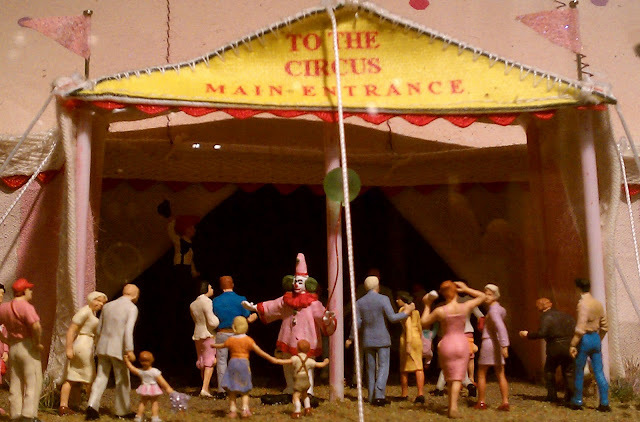 The detail is wonderful - the figures are posed in natural positions suggesting movement.....as if a photo was snapped as the people were entering the tent. The artist, Christine R. Schukow uses 3D figures in conjunction with painted backgrounds. 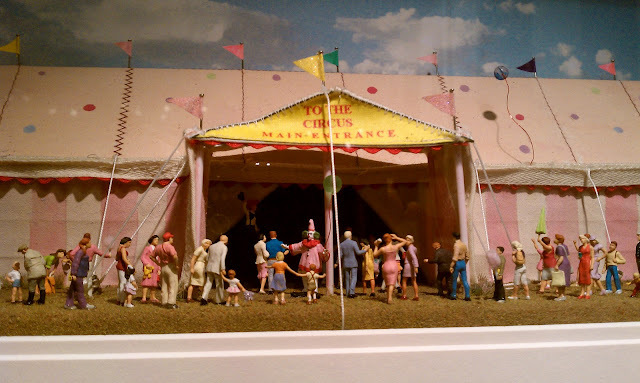 I found these photos on artnecter.com, and more can be found on the artist's site: Christine Originals.